Despite being by far the largest economy in the CEE Region, as well as the largest and fastest-growing insurance market, less than one in ten insurable risks in Russia are actually covered by insurance. There are over 600 different insurance companies in the region, but the value of insurance is not widely recognised, especially by private citizens. Compulsory insurances such as MTPL and health cover have driven growth, but voluntary insurance remains an area of under-developed potential. By comparison, companies operating in the region are developing a hunger for effective policies that protect their investments and operations. Russia has a very affluent economy, and many of its largest enterprises are diversifying with investments around the CEE Region. MAI has built a strong book of business arranging insurances for non-domiciled companies investing and operating in Russia, and increasingly we are being asked to provide a similar service to Russian businesses looking to invest in other parts of the CEE region. MAI’s ability to utilise the optimal markets to place riskis unique among brokers in the region, whether by taking advantage of local competition, or the international markets’ ability to cover unusual and complex risks. This is proving very attractive to new clients. MAI Russia offers a full scale broker service to companies that resident and operate in Russia. We start with an audit of existing insurance programmes to identify opportunities for improvement, risk and cost reduction, then move on to build a complete programme that includes placement in the most appropriate markets, together with administration and claims handling. MAI Russia is leading a powerful drive to develop new products and client services within the Russian marketplace, focusing on delivering the service quality for which the company is recognised throughout the CEE Region. 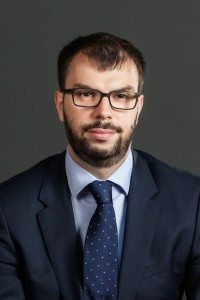 Alexander graduated from the Moscow State Institute of International Relations (MGIMO), gaining a bachelor’s degree in International Law, before starting his career on the London insurance market in 1999. Since then he has occupied various positions at international insurers and brokers in Moscow, mainly specialising in multinational corporate business. Alexander is fluent in Russian and English. Sergey started his career with Ingosstrakh some 30 years ago. He has worked for this leading Russian insurer in a variety of senior management positions including several postings in their London based subsidiaries. He has also served on the board of Ingosstrakh and Ingosstrakh Life. From 1992 to 1997 he was the CEO of Sedgwick Russia. Before joining MAI he held senior management positions with other Russian insurance companies and has been a consultant and advisor for a number of investment and finance companies.